The Flatlander’s Beer Festival, presented by Manitoba Liquor Marts, has found its home as a staple in the Manitoba summer festival circuit thanks in part to the rapid expansion of the local craft beer market, and the support of thousands of Manitobans who attend every year. The ice-level floor showcased over 60 craft beers and ciders poured by local brewers as well as food trucks and a pop-up Liquor Mart, where the exclusively featured products were available for sale. Attendees were also able to sample the offerings of national brands on the concourse and beers with creative names had guests lining up during each of the three festival tastings. Attendees, armed with their sampling mug and program in hand, were drawn to the “festival surprise” brews that were crafted exclusively for this occasion. 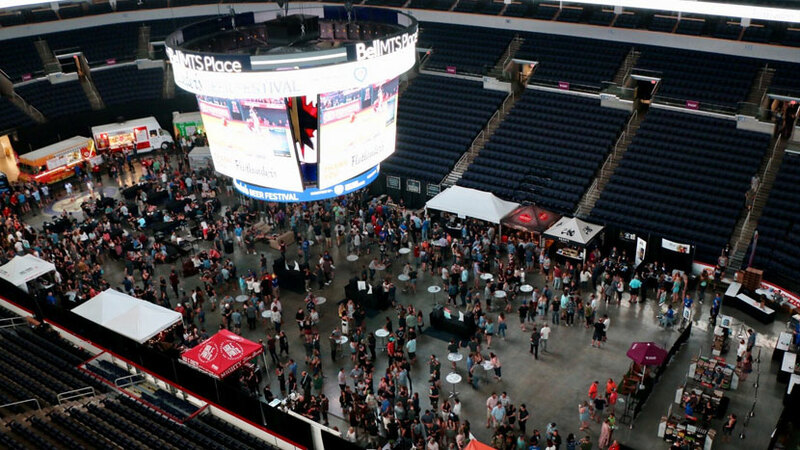 Cheers to the over 5,100 beer connoisseurs and 90-plus vendors who attended the much-anticipated 16th annual Flatlander’s Beer Festival, which celebrated its fifth year at Bell MTS Place in 2018. A special thanks to the energetic volunteers, organizing committee, Manitoba Liquor Marts, and to Bell MTS Place staff for their efforts in making this event a success. Thanks to your support over $193,000 was raised to benefit youth in our community.